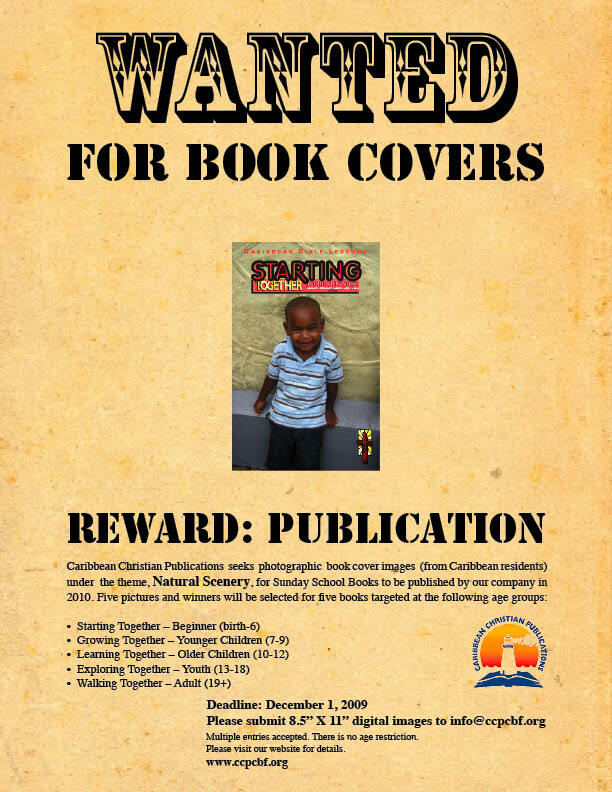 Caribbean Christian Publications is excited to announce our first Cover Competition. Are you familiar with The Together Series? They are a series of Sunday School books written specifically for the Caribbean audience that are printed by our company thrice a year. 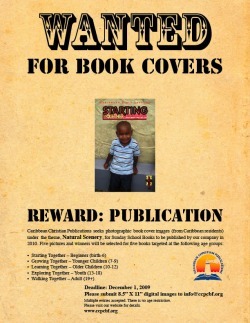 We are seeking your help in acquiring photographic images for our 2010 covers in the form of this, our first Cover Competition. 1. Enter pictures of natural scenery in the Caribbean. It is preferable that no people be included in the photographs. 2. State your name, age, nationality, church affiliation and where the picture was taken. 3. Ensure that the image is sized 8.5 X 11 inches. 4. Please submit portrait images only. 5. There is no age restriction. You will receive written credit for your work in the publication. Last day to enter: December 1, 2009. Feel free to download the letter-sized poster below and post it on your church's notice board.